Although fall has just officially arrived, it’s time once again to turn our attention to the quiet solitude of winter at Birken. 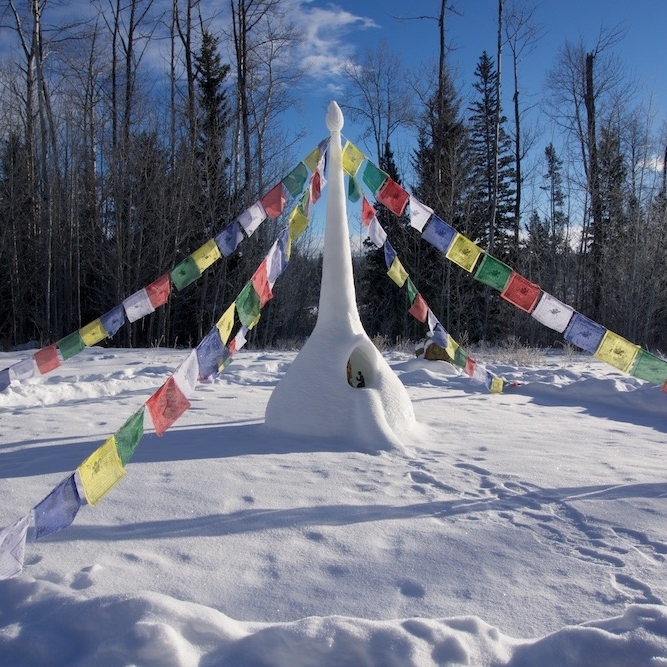 This year there are two silent winter retreat opportunities for experienced meditators who have visited Birken for extended stays in the recent past. Spacious time for self-guided meditation periods amidst the silence of snow and tranquil surroundings. All arrivals and departures MUST be on Wednesdays without exception. Guests will be assigned light duties. The minimum stay is one week; the maximum stay is two weeks. Optimal conditions for jhana meditation practice will be maintained during this very special retreat. Individualized jhana instruction from Ajahn Sona will be provided to each meditator, as well as extended meditation periods throughout the day, with a focus on solitary practice in each meditators’ room. NOTE: Unlike our Winter Retreat, the Jhana Retreat begins and ends on Sundays. For more information about both retreats and to register, please see our Book a Visit page under “2019 Winter Retreat”.